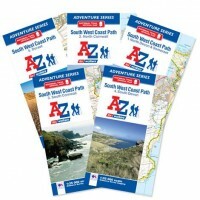 The A-Z Adventure series utilises Ordnance Survey Explorer mapping in a book, eliminating the need to fold and re-fold a large sheet map to the desired area. OS Explorer is Ordnance Survey's most detailed mapping at a scale of 1:25,000 showing public rights of way, open access land, national parks, tourist information, car parks, public houses and camping and caravan sites. There is a comprehensive index to towns, villages, hamlets and locations, natural features, nature reserves, car parks and youth hostels, making it quick and easy to use. Each index entry has a page reference and a six figure National Grid Reference. 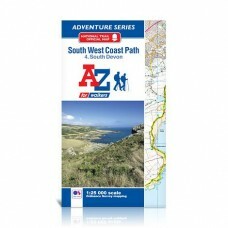 At a book size of 240mm x 134mm it is the same size as a standard OS Explorer map when closed. 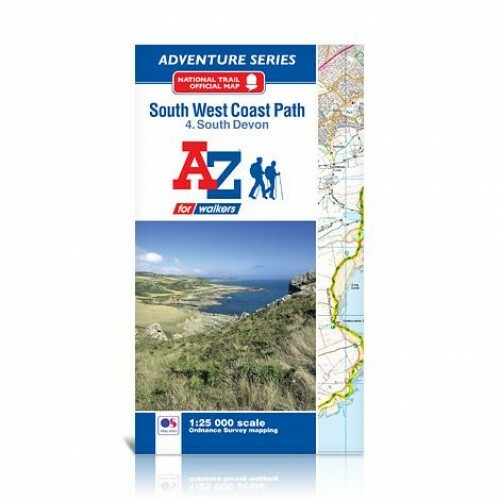 South West Coast Path Full Set of 5 Maps Official National Trail Maps A-Z Adventure Atlas | 1:25,000 Scale Mapping The South West Coast Path is a National Trail along the Somerset, Devon, Cornwa..